Whether you need more room or just like to entertain, Faught Construction can create your ideal outdoor living space. 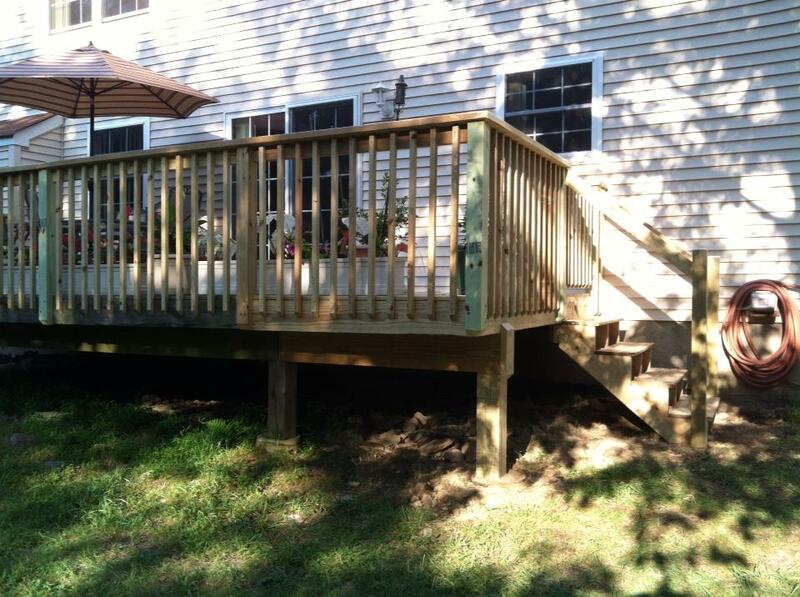 We can restore or repair your old deck, or create a new one. There are many reasons to have a customized outdoor living space, first and foremost to spend quality time with friends and family outdoors. There’s nothing better than enjoying a warm summer evening than in the comfort of your own backyard. That’s where we come in, creating beautiful designs for outdoor decks. We offer decks in a wide variety of wood species, such as cedar, mahogany, and ipe. If you prefer a low maintenance deck, we are also very experienced with synthetic decking and recycled materials. Faught Construction will work with you to find the decking material that will best suit your needs. Once you choose the type of deck you prefer, we’ll go from there to design and install it to best fit your property. When it comes to building a deck for your home, we too want the very best results for your project. That’s why our team is made up of professional deck builders who have in-depth experience in the field. We strive to bring top quality results by paying attention to detail and creating a deck that will meet your needs and budget. Big or small, low or high, we can build it all! Get in touch with Faught Construction today for a quote on your custom deck construction project.